Summertime may bring many wonderful things but the extreme heat is not one of them. For many, using air conditioning is not affordable nor available. Here are some tips for keeping your house cool in the summer heat, with or without AC. We use these techniques in steamy South Carolina to reduce our air conditioning bill. 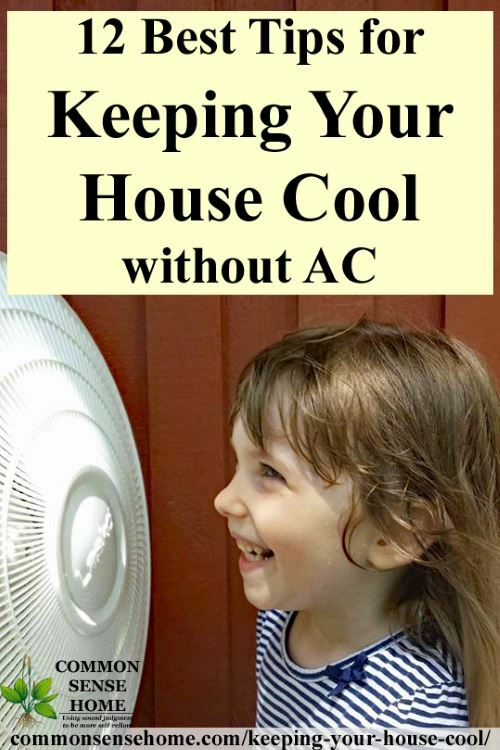 Scroll down to see 12 ways to keep house cool without AC. Note: See the post “Heat Stroke – Symptoms, Treatment and Prevention” for more tips on staying safe in high temperatures.